There is something ultra addictive about amusement park games where you get to make the attractions to draw in the crowd. Throw in pre-historic dinosaurs and it makes the whole thing even more fun. A fully licensed game, Jurrasic Park Builder gives you all the options to build your own dinosaur park alongside all your favorite characters from the movies, Dr. Grant included. 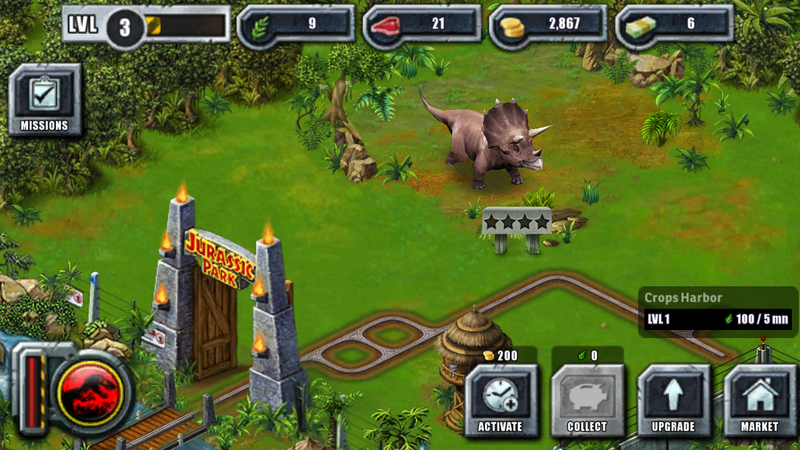 Leveling up in the game lets you purchase more dinosaurs and features for your park and paying customers. You start off with the awesome, but boring triceratops and work your way up to the eventual T-Rex. Managing food for each dinosaur, income of the park and researching new dinosaurs will keep you busy as you level up. You can even unlock an underwater park that you can fill with giant dinosaurs of the sea. For a free game, it’s pretty easy to use and fun. There are in-game transactions for certain items, but most can be acquired by just playing which is a nice change. If you think you can build a better Jurassic Park than the ones in the movies, hit the link below.